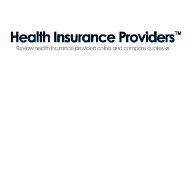 An examination of Security General Health Insurance Company points to Security General Life Insurance Company. That company was purchased by Family Life Insurance Company in 2009. Family Life is a company that offers life insurance, mortgage protection life insurance, and Medicare supplement insurance to individuals and families in North and South America. Type your zip code now to find the right health insurance rates for you. According to the Texas Department of Insurance, Family Life had total assets of over $130 million in 2010. Their motto is to “Insure Brighter Tomorrows.” Their mission is to offer quality products, provide excellent customer service and to help create financial stability for families. Family Life was organized in 1949 in Seattle Washington. The company moved to Austin, Texas in the early 2000s. In 2006, Family Life was acquired through the Manhattan Life Insurance Company in New York, New York; it then moved its headquarters to Houston, Texas. Security General Life insurance Company’s annuity contracts and life insurance policies were reinsured by Family Life and Manhattan Life when the Oklahoma-based Security General was dissolved in 2009. Manhattan Life has been in operation since 1850, and has almost 350 million in total assets in 2009. They offer a wide array of insurance and financial products to individuals, families, and businesses. The total assets of Manhattan Insurance Group equal over 800 million dollars. Term life insurance is offered to meet the needs of all family members as the family grows and matures. Family life also sells other types of life insurance to fit an individual’s or family’s requirements. Family Life also sells mortgage protection life insurance; this insurance assures that a mortgage will continue to be paid in the event of the death of a homeowner. Children and survivors will have the peace of mind to know that they will not lose their house on top of losing a family member to a premature death. The premium for this insurance can be added into the mortgage payment to create one monthly bill to be paid. They are one of the largest providers of this type of life insurance in the US. Medicare supplement insurance is also offered by Family Life to cover those health care bills that are not covered by Medicare. Eight different standardized plans are offered to allow for differing needs, budgets, and health of clients. Financial stability will not have to be threatened or ruined by out-of-pocket medical expenses. Family Life Insurance has received no justified complaints as of September 30, 2011, according to the Texas Department of Insurance. Only three complaints were reported in all of 2010 while 2009 saw only two complaints. In the same vein, A.M. Best, a credit rating agency that evaluates insurance companies, gave Family Life a B+. Such a strong rating shows that, in A.M Best’s opinion, the company has the financial stability to continue to meet its financial obligations as an insurance provider. The rating is from an A++ to an F. Best’s B+ equals a ‘Good’ rating. A.M. Best awarded the company a BestMark, which is a mark or logo that lets customers know that the particular insurance company is an industry leader. While not accredited by the Better Business Bureau, Family Life has earned an A rating from the BBB due to only six complaints filed in the last three years. The rating is in a range of A+ to F. All of the complaints were closed to the satisfaction of the Better Business Bureau. An independent report on Manhattan Life’s website shows the financial strength of both companies. The report was compiled by Standard Analytical Service, Inc., an insurance analyst company. It showed that both Family Life and Manhattan Life showed superior levels in financial factors when compared with 25 of the largest insurance providers in the United States. Business hours are from 8:00am to 4:30pm, Central Time. Policyholders can access their policy information 24 hours a day at the company’s website, with login information. Many forms, such as a policy service form and a change of beneficiary form, can be downloaded right from the company’s website. Providers can also use the website to verify a customer’s benefits. Those seeking sales opportunities can call (888) 441-0770. Applicants looking to work as agents for Family Life should apply to Manhattan Insurance Group. Positions that could be held include agent managers, general agents, and producers. Use your zip code to get health insurance quotes for you and your family right now.